Has Singapore's Smoking Regulations Made Life Tougher For The Mama Shop? Over the weekend, the ban on smoking in food establishments along Orchard Road’s highly saturated stretch beamed from the ST headlines. It stirred the nation. The cause, for a “smoke-free future”, stirred the people. Responses ranged from outrage to offence to acceptance to jubilation. The news itself might act as a precipitous foreshadowing of what the public consultation’s finale on 10 July might be, but more importantly, reveals the problematic ideas that have been passed under the calls for public wellbeing. In 2016, Japan’s smoking rates dropped to an all-time low at 19.3%. For 19 years consecutively, Japan’s smoking rates have been steadily decreasing with over 1% each year. In contrast, the two national health surveys in Singapore, conducted in 2010 and 2013 respectively, showed only a slight dip from 14.3% to 13.3% over the three-year period. If the final objective is to reduce the number of smokers engaging in the act of smoking, then perhaps the nation’s stagnancy and governmental attempts should be revised. One of the reasons cited for Japan’s success is that smoking simply went “out of fashion”. There is a general template for countries to follow: raise the consumption tax, make certain public areas illegal for one to enjoy a puff, and increase general public awareness of the dangers of cigarettes. But when everything has been done, and everyone is desensitised by the graphic images on their cigarettes packs, or immune to the obscenely high prices for a pack, or desperate enough to turn to illegal contrabands, then what should the next step be? Should We Redefine A Smoke-Free Future? In Singapore, the general consensus when envisioning a “smoke-free future” is one without cigarettes. Singaporeans are limited in opinions because the options have been limited from the start. The nation is akin to a nanny state, where everything is baby-proofed and governed so that the best interest is always protected for them (hardly by them). Even the best subject, under such sheltered conditions, will eventually break and seek some alternative outlet for relief. This is one of the reasons why Singapore can never be addiction free — the lifestyles, mindsets, nationality will always want to indulge and be addicted to some form of vice or matter. It is common to see lines spewing from the Singapore Pools, hear the familiar cackling of kopitiam uncles who seem to signal the morning with beer at 9am, and peruse social media accounts all day to be vehemently satiated. Addiction is the combination of dependence and problems, and this generates different levels of harm on different scales. On that note, saying that one is addicted to nicotine should be no different from one saying that addiction stems from alcohol. Nicotine itself is often not the cause associated with the health risks of smoking. The health risk comes from the delivery method. Cigarettes burn at temperatures between 600 to 800 degrees per drag, and this creates smoke, heat and ash. The combustion release harmful chemicals and constituents, and long-term exposure to the combustion (not the tobacco or the nicotine) can become a possible health risk. Knowing this leads one to wonder: why aren’t there any nicotine alternatives in Singapore? If smoking cigarettes is the most harmful, and yet Singapore will only allow cigarettes for the smokers, then withholding such information further presents itself to be unethical and unsightly. “We have a less harmful way but if it is banned, then smokers become criminals,” shared Associate Professor Colin Mendelsohn, University of New South Wales (Australia), at the recent Global Forum on Nicotine 2017 held in Warsaw. GFN 2017 brought together 50 speakers from over 50 countries to respond to the social phenomena associated with smoking happening all over the world. Recognising that most smokers are addicted to the nicotine and have no intention of quitting, the facilities offered by scientists, academics, health officers, consumer advocates, even leading tobacco companies, all work towards the best alternative: harm reduction. For the tobacco companies and industry stakeholders, “smoke-free” has a different meaning. Limiting “smoke-free” to the complete cessation of cigarettes and/or smoking habits begets an ideology of abstinence-only, which has historically never worked out. Limiting smokers to cigarettes begets a worrying down-spiral trend of health risks and struggles, which should never be the nation’s priority. Smoke-free should aim to achieve harm reduction for smokers who are unable to quit or do not foresee themselves quitting anytime soon. Simply, tobacco harm reduction encourages pre-existing smokers to switch to alternative sources of nicotine with significantly fewer health risks. Some of these alternatives include tobacco heating products (THP), vaping products and/or e-cigs without tobacco at all (VP), and even low-toxicant power products, such as snus. In the order of high toxicant levels to low, it would be: cigarettes, THP, snus, and VP. Of course, this arrangement can change depending on the components that go inside each delivery method. E-cigarettes are often considered healthiest because they do not need to come into contact with tobacco at all, instead delivering nicotine to the user through vapour, but can emerge as a predominately new-age practice. On the other hand, THP is a more adaptable alternative for certain groups who still prefer the traditional ritual of smoking a cigarette while being exposed to far lower levels of toxicants. Technical jargon aside, THP heats the tobacco at around 300 degrees and products such as IQOS control this precise temperature for 12 puffs and/or 6 minutes to ensure that the nicotine output is at its peak. What comes out is a slight aerosol, unlike vaping which encourage large billows of smoke. Philip Morris International (PMI), the international company familiar to smokers who enjoy Marlboro and L&M, is currently one of the biggest pioneers for tobacco harm reduction methods. With IOQS already available in 25 markets following South Korea’s launch in May 2017, the company has mentioned that they will consider pulling all their cigarette products from the shelves once the conversion rates are ideal. 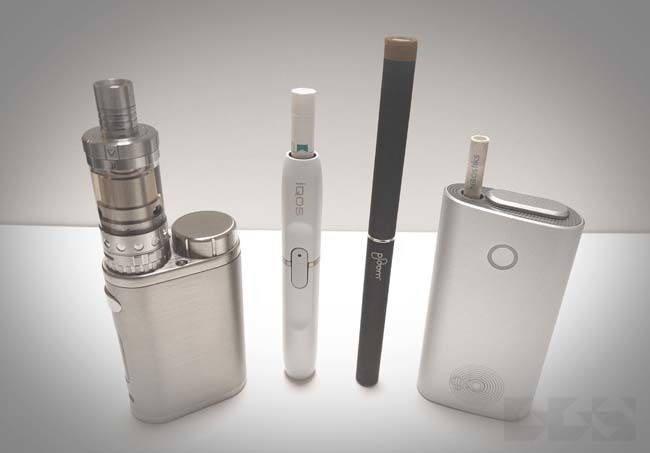 The electronic kit is currently sold out in Japan, and sources have shared that it is widely preferred in Japan over cigarettes because it is not only healthier but also more considerate for the environment and the immediate surroundings of smokers. Currently, Japan Tobacco International also has one called Ploom Tech, and British American Tobacco just released their version called glo. A local doctor shared that cessation programs in Singapore are aplenty, but the adage is still the same, “we (medical officers) cannot help the patient who doesn’t want to help himself”. In treating people’s dependence on tobacco as a disease associated with other diseases, such as alcoholism and psychiatric disorders, the approach becomes hostile and rigid. For smokers who genuinely want to quit, are they able to enrol into such programs without having to explain why they fought such a long and personal battle with nicotine? Understanding that smoking is more than the nicotine consumption is key. For most, it becomes a ritual, the actual hand to mouth action that brings satisfaction and passes time, the associations that are attached to the smoking breaks — all these are the factors that play a part in a smoker’s addiction. Condemning cigarettes and smoking will not stifle the numbers, in fact, it will just boost black markets and force people to engage their choice of vice elsewhere. Perhaps it is time to allow smokers to be part of that smoke-free future by allowing the idea of harm reduction to assimilate into the culture. It is time to step away from using the gateway excuse as a reason to not move forward with the times, the science, and the evidence that surrounds us. It is time to have positive conversations that include those that are affected, the smokers and their associations, and understand that there are other options in creating a smoke-free future for everyone in the country.